Angelica and other approved sources. 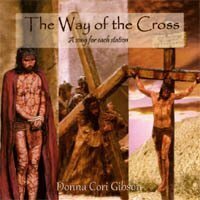 Meditating on our Lord's passion is a practice not limited to a particular season. Since Jesus was made perfect through what he suffered (Heb. 2:13, Heb. 5:8) we learn by this example, how to become "other Christs" and true Christians through suffering, the greatest gift on earth we could have. As we share in Christ's passion, so will we also share in his resurrection/glory (Phil 3:10).